I’m Roby Brown, a Video Producer in Austin, Texas. I saw your posting for a Content Producer — Social Media. However, the job closed before I could apply. I don’t use the term “dream job” lightly. That said, this role IS my dream job. However, it’s not just because I’d be making videos for Disney — a company that means a lot to me. Your role offers growth, challenges and the opportunity for me to be a better storyteller. To show how my knowledge, enthusiasm and professional skills fit into this role, I’d like to highlight six reasons why I’m a great fit for your Content Producer opening. I have produced social media videos for over seven years. Within that time, I’ve managed a small video production department and planned/created content for an online theme park ticketing company, Undercover Tourist. I’ve created long and short form stories, theme park travel videos, promotional spots and hosted on-camera productions. Ideation is my super strength, and I’m able to take ideas from concept through completion. Here’s one of my favorite short form videos. I created the concept, directed, shot and edited this video. This is an example of an Instagram-specific video from Undercover Tourist. I did editing and motion graphics on this piece. As an ad agency copywriter, I turned strategic insights into interesting concepts and videos. In my role with Undercover Tourist, I created marketing materials that helped people have magical Disney vacations. I created marketing blogs, newsletters and videos for Disney theme parks and hotels. Marketing messages that evoke emotion and aspiration are the keys to great content. My experience creating those kinds of stories are a big part of the Content Producer role, and I can deliver those concepts. Here’s one of the tv spots I wrote during my time as a copywriter. Here’s a blog post I wrote that covers Disney’s Fort Wilderness Campground. Read it here. In my role for Undercover Tourist, I was in the know on all things Disney Parks. New lands. Special events. Fantastic foods. Even photo-worthy walls. I identified the unique Disney park activities or tips that visitors may not have known about, and created content around those topics. Best bars at Disney World anyone? My passion for Disney parks began on my first visit to the Magic Kingdom at Walt Disney World. That experience drove my enthusiasm for themed destinations, and I’ve traveled around the world to experience Disney Parks and Resorts. Your Content Producer needs to know why these parks and resorts are special. Since these places are special to me, I can bring those insights directly into my projects. One of my favorite jobs was creating magic for guests as a Disney Cast Member. I worked at Disneyland in attractions - Enchanted Tiki Room, Pirates of the Caribbean and the world famous Jungle Cruise. It was fun to be a small part of a family’s dream Disney visit. Your Content Producer will be spreading the magic of Disney Parks and Resorts through video. I'll be able to spread the Disney magic through my imaginative, smart and fun storytelling style. Social video is not the same as it was two years ago. Live broadcasts and 360-degree videos are new — and necessary — ways to share stories on social media. I understand those formats and have ideas on how to use them in the Content Producer role. I love a challenge. Every video is an opportunity for me to push myself and improve. 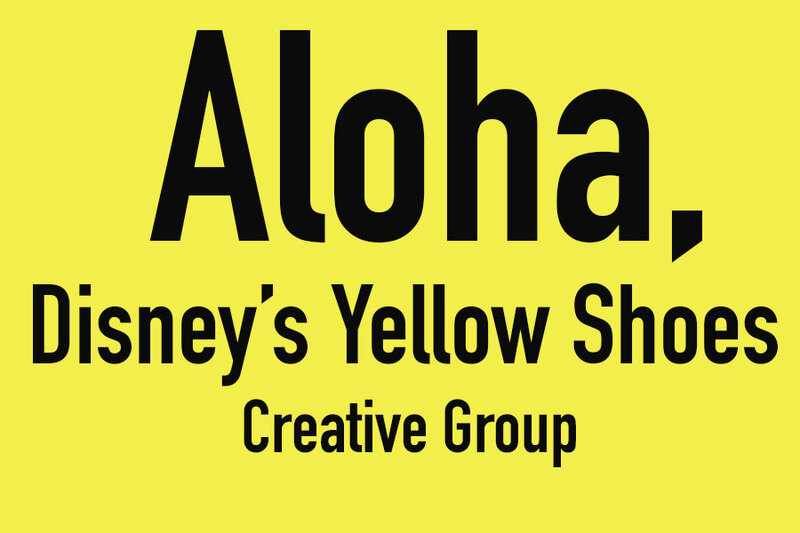 I see Disney's Yellow Shoes as a place where I can learn from other producers and creatives, become a better video producer and embrace the emerging opportunities within social video. Imagineers. Operations cast members. Transportation drivers. The stories on the Disney Parks YouTube page are told through different lenses. Each person has their own view on how their work impacts a guest's visit. Also, many of the videos focus on the guest’s perspective. Knowing the personal and emotional impact that Disney has on a guest or cast member is a vital part of your Content Producer role. In my position with the school district, I interviewed a diverse range of people — teachers, students, board members, parents and more. My know-how in creating video stories through interviews will pay off in this role. My knowledge of Disney Parks and Resorts, theme park operations and themed entertainment development gives me insight into the worlds of Imagineers and resort cast members. By knowing their roles, I can ask questions that reveal vital insights. As for park guests, I’ll use my personal enthusiasm to evoke emotionally-filled answers. Here's one of my videos that showcases how I can evoke emotional interview responses to tell a specific story. Please take a look around my site and check out my work. I look forward to chatting with you about my experience, passion and knowledge of Disney Parks and Resorts. I tell stories that are fun, smart and imaginative.